Once you've begun studying Paganism, whether it's Wicca or some other form, you may at some point feel like you're all alone. Your family doesn’t get what you're doing, your friends think you're weird, and you might not even want to mention your beliefs to your co-workers. So what do you do? Well, the obvious solution is to find other Pagans—not necessarily because you want to be part of a coven or a group, but just so you can find some like-minded individuals to hang out with and share ideas once in a while. Because Paganism is not a single religion but a collection of thousands of different spiritual paths, there's no clearinghouse list of all of the people who self-identify under this heading. However, there are a number of ways to find and meet other Pagans in your area - it just takes a little bit of effort. Naturally, the Internet is always an option. Use sites like Witchvox.com, Meetup, and social networking sites such as Twitter and Facebook to find people in your area. Remember, though, people aren't always as they seem online - be cautious if you're meeting someone you've met on the Internet. 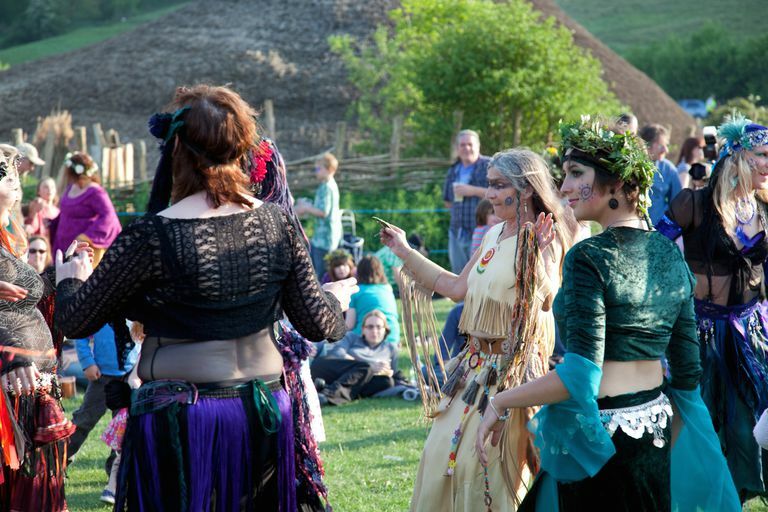 Another great place to meet other Pagans is at public events like Pagan Pride Day or metaphysical expo. Check with the national Pagan Pride website to see if there's a PPD in your area. Attending a public festival is a great way to network. Getting involved in the planning of an event like this is an even better way to meet new people. If you're a Pagan college student, check to see if there's a Pagan student group on campus - many universities have them. You can also bring yourself into contact with other Pagans by attending classes or events at your local metaphysical store. Many shops become social hangouts for people who don't have a regular coven, because the environment is conducive to interacting with like-minded people. If you're in a small town or rural area, you may have to drive to the nearest city to find a metaphysical or Wiccan store -- but if you're serious about meeting other people, it's worth the trip. Finally, keep your eyes and ears open. If someone compliments you on your lovely pentacle necklace, they're not just saying they like your jewelry. They're saying, "I know what a pentacle is, and I want you to know that I know what a pentacle is!" Pagan jewelry is almost like a secret language - it's a way of communicating what you are and believe, and signaling others that it's okay for them to talk to you about it. If someone casually mentions that one time they were getting their Tarot cards read, they're giving you an opening for a new conversation—it's perfectly okay to say, "You may not know this, but I read Tarot cards. What was your experience with that reader like?" This opens the door and paves the way for new interactions. Ultimately, it's up to you how involved you get with other members of the Pagan community. You may be perfectly happy to avoid them completely, and that's fine. Just know that if you ever decide you want to meet other Pagans, they're out there. You just have to make the effort to find them.